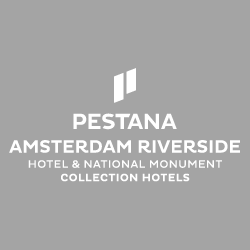 We are currently recruiting for a Room Attendant to join us here at The Hoxton, Amsterdam. Reporting to our Head Housekeeper you will be responsible for ensuring the rooms of the hotel are well presented and well maintained at all times. You have a high level of verbal and written communication skills and competent computer skills. You have the ability to build relationships with colleagues and customers. You jump out of bed every morning, fizzing with energy and jazzed about what you’re doing today. You get us. You know our hotels, maybe you’ve hung out in our bars and possibly regretted that last cocktail the next morning. You are humble. There are no egos, and no drama. You care about the detail. You are you. No clones in suits for us. Your glass is half full, always. We don’t go in for strict job descriptions, we all like to get mucked in, however here’s an idea of how we see the role. To provide the highest level of customer care, and to provide a friendly, helpful and responsive level of service for our guests. To be responsible for the cleaning and servicing of the hotel rooms. To ensure the highest levels of cleanliness throughout the hotel. To ensure that the rooms adhere to all brand standards and quality audit standards. To ensure that all Health and Safety standards are adhered to and any breaches in standards are reported to the Head Housekeeper. To ensure all cleaning materials are handled correctly and to be fully aware of COSHH regulations. To attend all training sessions required. To maintain a positive and friendly attitude at all times, even when working to find solutions to challenges.